Craft Design Technology Item 35 Notebook Review – Pens! Paper! Pencils! Craft Design Technology commission products from established Japanese manufacturers and rebrand them. The resulting items look great, in a modern minimalist kind of way. 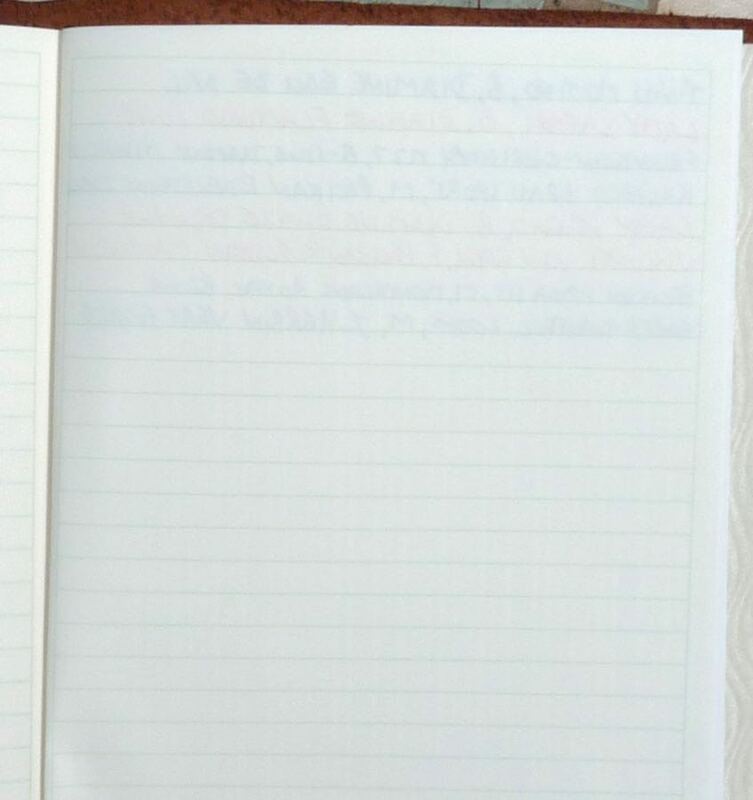 Most of their products are sold at premium prices but the cost of this notebook compares favourably with similar items. The cover is a soft card that provides a little protection for the contents but, just like most card covers, is easily bent and marked. The design consists of sets of thin green/grey lines and reminds me of old computer printouts seen from afar. Apparently it’s based on the pattern of the cord on Samurai sword handles. It doesn’t do much for me either way, inspiring neither delight nor disgust. 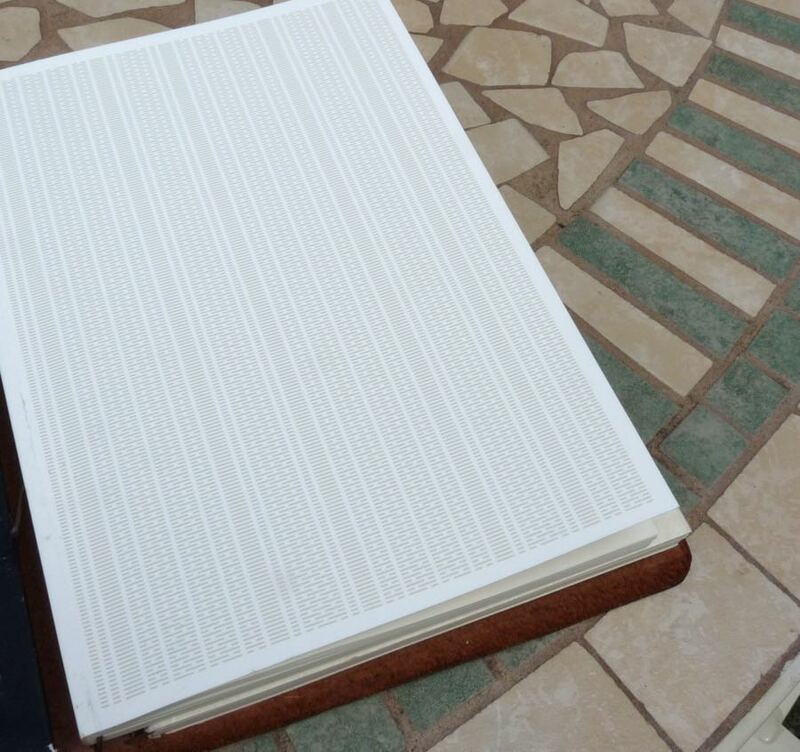 The 96 pages (192 sides) are perfect bound (glue to the spine). In my use this binding held up well. 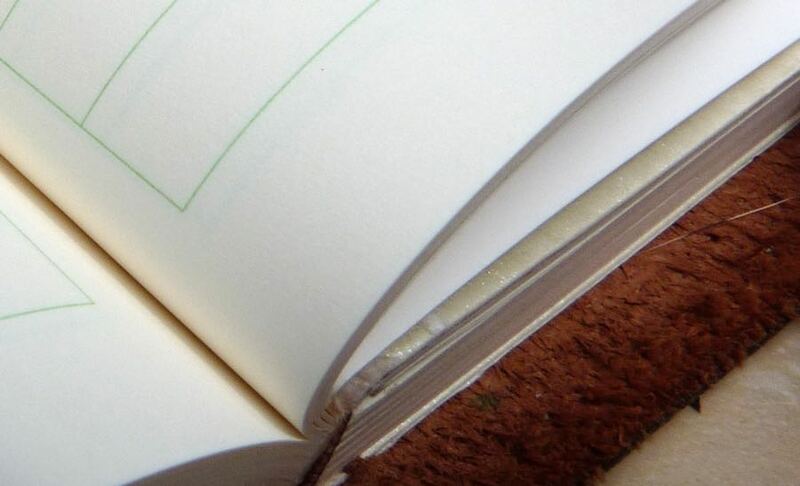 Unlike many perfect bound notebooks the first and last pages are usable. However it doesn’t quite open flat. The ruling is unobtrusive but imposes margins on all four sides. There aren’t any other options: you can have ruled paper or none at all. The paper is very smooth. This makes for quite long dry times but it isn’t excessive, certainly no worse than Rhodia. Ink behaves fairly well on it. Most pen and ink combinations work but very broad wet nibs feather slightly and dry nibs are more prone to skipping. There’s little show-through and no bleeding. I didn’t enjoy using this notebook all that much because I like pens that put down a lot of ink and I always felt it was struggling a little with them. However, if your preference is for medium or finer nibs or drier nibs and inks then the paper is quite good. 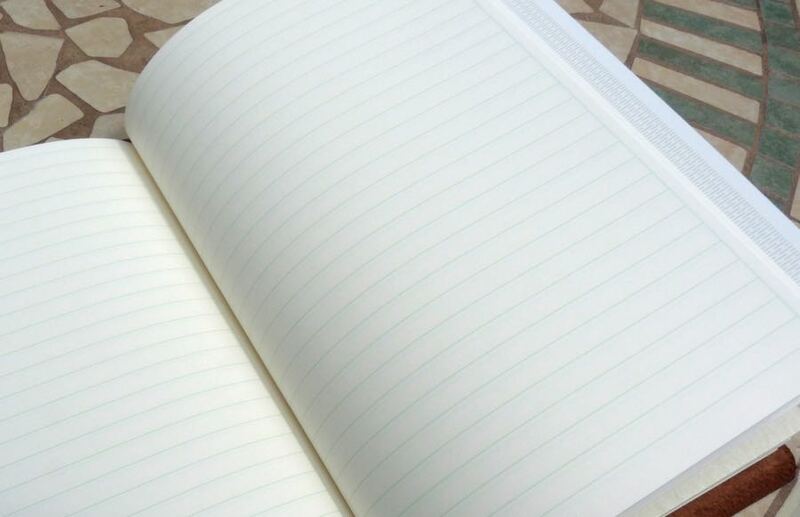 If you’re looking for a softcover notebook, then this is a reasonable option, particularly for the price. The TWSBI softcover notebook is behaves a bit better with inks and but is a little bit more expensive. The new softcover Rhodia Webnotebooks are the best notebooks I’ve found for the pens I like but it is significantly more expensive.